Safe Options can supply and deliver lockers to your door anywhere on the UK throughout he UK mainland and also to Ireland for a small extra charge. 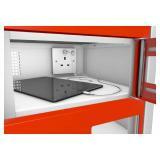 Probe Lockers are designed to offer solutions to all applications: high intensity use in schools and business, aluminium for wet and humid conditions in changing rooms and shower areas, plastic lockers for use in all weathers outdoors plus specialist lockers such as charging lockers for storing, mobiles, tablets, laptops and power tools. For larger projects we can offer both planning advice and professional installation too. 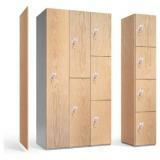 Are you looking for lockers that are solid and secure for your building? 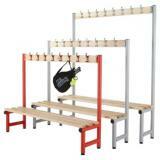 Whether you need a locker for the call centre, gym, at school or at the factory, we have a variety of models that will fit your needs at a competitive price. 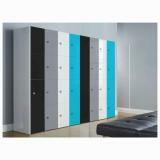 We know that once you've seen the range of lockers we currently stock, you may have a few questions. If so, read on. What type of locker should I choose? From just taking a cursory glance at our range, you'll be faced with several choices. 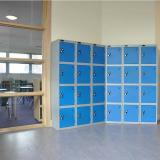 You will find that there are currently several types of locker available, each providing security for your items and a layout to suit your requirements. 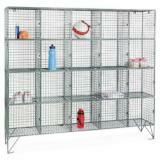 For general storage use, single and double door lockers are ideal, however you may need a locker with more compartments. 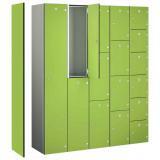 Three or four apartment lockers allow you to store small items such as lunch boxes, books, and handbags. 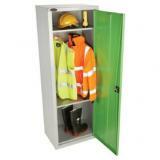 If security is paramount, you may also want to invest in a locker that has a toughened door and a substantial lock. Lockers are used to secure valuables in several different places, with the most common being factories, schools, gyms and swimming pools. You will often store different items in them according to where you are. Our waterproof or water resistant plastic lockers are designed for use In a gym or swimming pool, you'll probably store dry or wet clothing, holdalls, hand bags and mobile phones. A locker in a factory will often contain bags, clothes and items such as rings and watches which could be damaged by machinery. 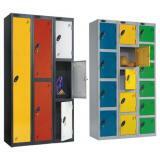 A school locker will be used to store books folders and games kit. 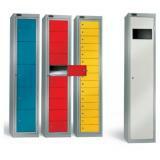 Digital, coin or padlock lockers. Which is best? The important question in this instance is “what situations are these lockers most suited to?” Coin Retain lockers are useful for gyms and swimming pools where the user of the locker is paying to use the facilities. The coin inserted into the locker will either be used as a deposit or as additional income. 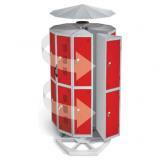 Coin Return lockers allow multi-user where the user uses a coin to be able to remove the key and lock the locker. They only get their coin back when they re-insert the key. Padlock locked lockers are excellent for personal use either at school or in the factory and avoid worrying about keys. 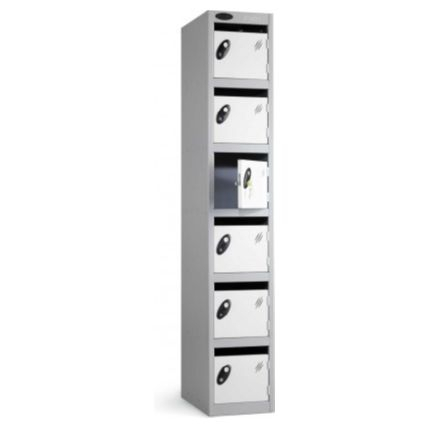 Digital lockers are a key-less alternative that can be used in any situation and are available in mechanical or battery operated electronic models . Where can I buy spare locker keys? Lost the keys to your locker? Don't worry! 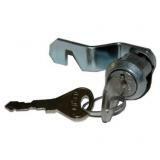 Safe Options offer spare locker keys, so order them online or for advice contact us. 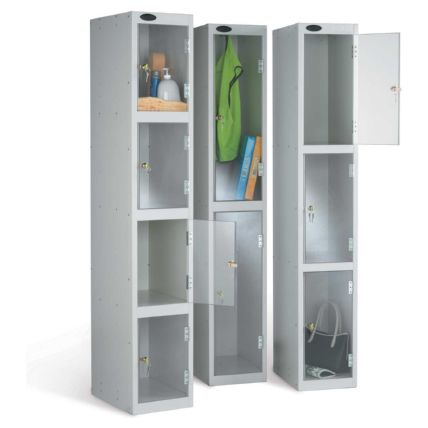 Here at Safe Options, most of our lockers are made to order, so expect your order to take between 5 days for our quick delivery range or 2 to 3 weeks for our standard ranges. If you still haven't found what you are looking for after reading through the above article, then get in touch with us for assistance. Call us on 0800 567 7549 or email us here and our experienced and knowledgeable staff will be happy to help you. 5 Locker Key Storage Solutions for School Caretakers - Key cabinets, key safes, and lockers are just a few of the storage solutions which work well to hold locker keys. See which other options may accommodate your school. Techniques to Ensure Students Don’t Lose Their Locker Keys - How can you help your kids stop losing their locker keys? Try these simple techniques. What’s the Benefit with Buying a Probe Locker? 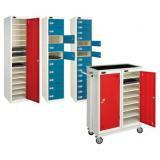 - Probe Lockers are a high quality brand of lockers in the UK, which also serves schools, police departments, hospitals and hotels around the world. But what makes them so good? 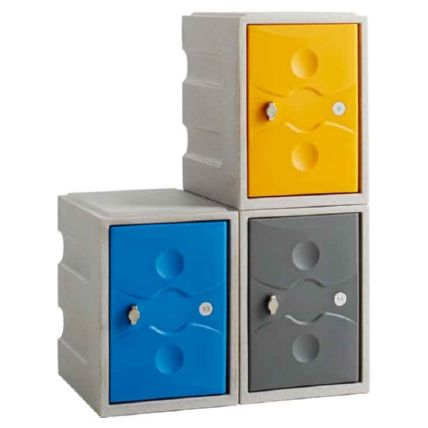 3 Waterproof Storage Solutions for Education - Finding a suitable storage solution for a school can be quite difficult, especially if it’s in a high humidity or rainy zone. Learn which three solutions may work for you. Laundry Lockers Answer Health & Safety Concerns - Did you know laundry locker can reduce theft, improve organisation, and offer security to workwear? Explore the other uses for laundry lockers.